Last Saturday, March 8, I attended a screening of the documentary, This is How I Roll, at the Center for the Study of Men and Masculinities in the Stony Brook University Manhattan campus building. This is How I Roll traces the evolution of men’s roller derby in the United States (and to some extent, around the globe), capturing the perspectives of men who tried to enter a sport dominated by women. The film maker follows grassroots organized teams, in particular the New York Shock Exchange, who seek out a space in the sport of roller derby. Alongside the development of the men’s teams, we see the backlash from the women’s teams, players, and national organizations, including the Women’s Flat Track Derby Association. By the end of the film, the men’s teams have gained greater acceptance with the women’s organizations and they all have hopes of taking the sport to the Olympics. After the screening, a panel—including the director, Kat Vecchio; a producer and activist, Abigail Disney; New York Stock Exchange team member, “Patrick Bateman”; and a sociology professor, Tyson Smith—spoke about the themes of gender and masculinities in the documentary. Kat Vecchio said that she made the film because she noticed the exclusionary tactics of her fellow roller derby participants when she was a member of the Gotham Girls, a famous New York City roller derby league. She likened her teammates’ exclusion of men in roller derby to men’s exclusion of women in just about every other arena. Seeing this as an opportunity to capture a growing underdog movement, she picked up her camera and started filming. The documentary and the director’s comments brought up some larger questions with which I have been grappling and may be of interest to other scholars of gender and masculinities and activists. First, can we equate the discrimination faced by the men’s roller derby teams to women’s historical exclusion in other sports? If men wield power in the rest of the sporting world, is it fair to compare their exclusion in this one particular instance to the history of women’s exclusion from sports? On one hand, the roller derby women employed many of the same tactics used to exclude women in other sports. For example, the roller derby women explained that men’s bodies are too big for the roller derby track, an argument eerily similar to the justification for excluding women and their small bodies from the football field. On the other hand, the women were understandably protective of their sport; this was a safe space for them and something that they could claim as their own. Since sports are historically male dominated, is there some political importance to women having a sports space of their own? The second point that I am left contemplating is the extent to which activists can harness situations like this to engage men in gender equality projects. After the screening, an audience member asked if the men felt any solidarity with female athletes who are marginalized in other sports, such as the WNBA. Though it seemed like “Patrick Bateman,” a member of the New York Shock Exchange, felt compassion for female athletes, it was clear that the men’s roller derby movement is not a political one. Men’s roller derby teams are not trying to produce greater gender equality through their sporting participation; they just want to play. This is a moment, though, in which men can understand the experience of oppression based on gender, a situation in which they rarely find themselves; moreover, the men who participate display non-normative masculinities, and are relatively open to queer and gender nonconforming teammates. It seems, then, that this is a space that could be harnessed for gender activism. How can we translate individual compassion into political sensitivity and action? How do we link these common experiences to produce solidarity and create social change? 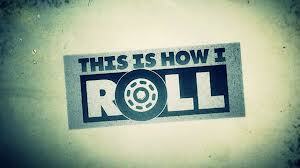 I encourage you all to see This is How I Roll. In addition to giving us food for thought about gender and masculinities, it is a really well done documentary that will surely keep you entertained. Make sure to check this blog and the Center for the Study of Men & Masculinities website for information about upcoming sponsored events.